Cultured, cosmopolitan and cool, the ‘New York City of Canada’ is currently topping the list of must-see city break destinations. Toronto is hot right now. Canada’s biggest city made it onto this year’s top 10 of the World’s Best Cities (Lonely Planet) and a recent survey by The Economist named it as the best place in the world to live. So just what is it that makes Toronto so appealing? The provincial capital of Ontario, Toronto lies on Lake Ontario’s northwestern shores and is one of the world’s most culturally diverse cities. Toronto has everything you could wish for from a holiday, from the global cuisine found among its 8,000 restaurants, to museums and galleries, green space and beaches. As summer turns to autumn, the crowds thin, skies stay clear and temperatures hit a 20°C average high, making it ideal for exploring on foot. 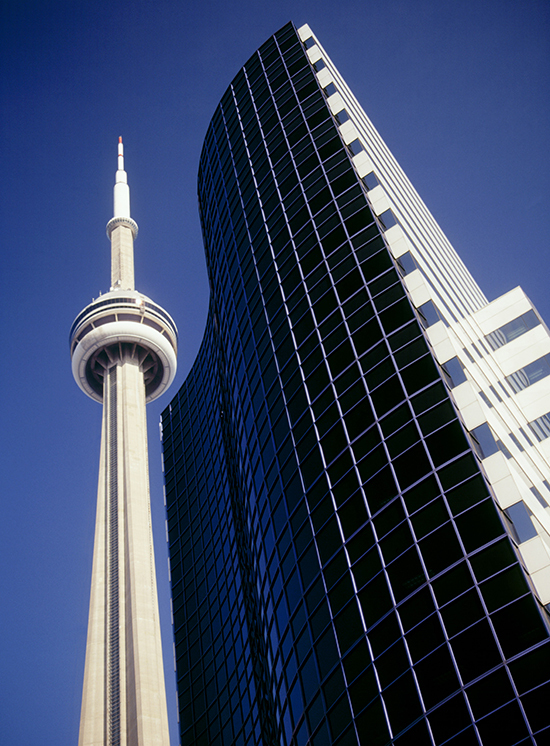 One of Toronto’s most famous attractions is, of course, the CN Tower. At 553m high it’s hard to miss, even if it is no longer the tallest tower in the world. Admire the views from the LookOut level at 346m, test your head for heights on the Glass Floor (342m), or enjoy a meal in the gently revolving 360 Restaurant. A few blocks away is the Art Gallery of Ontario – worth a visit for its huge collection of Henry Moore sculptures and its Frank Gehry-designed frontage. And if you like an architectural wow factor with your culture, don’t miss the Royal Ontario Museum, which appears to have a huge exploding crystal attached to it. The entrance, designed by Daniel Libeskind, was inspired by the gallery’s collection of gems and minerals, but the museum also houses dinosaur fossils, Egyptian artefacts and more. The gallery is next door to Queen’s Park – one of the city’s many green spaces, it is home to government buildings and memorial sculptures and is popular with runners. After all that sightseeing, you’ll probably be a bit peckish. 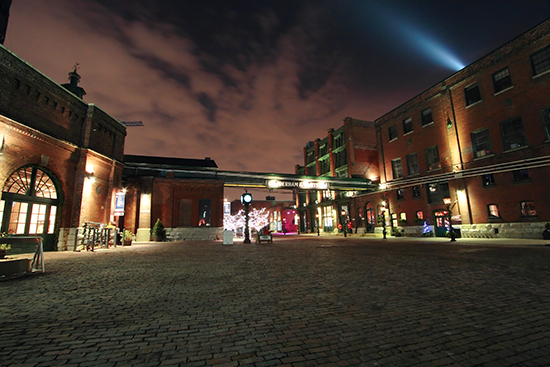 The Distillery Historic District, downtown, is a cobblestoned pedestrianised area of restored red-brick buildings and lanes lined with galleries, delis and restaurants. Locals rave about the loft-like Archeo for its fantastic Italian cooking. The neighbourhood is named after a 19th-century whiskey distillery, but today you’ll find every kind of tipple here, from fine wines and cocktails to sake, which you can even experience being made at the Ontario Spring Water Sake Company. Vibrant Kensington Market was designated a National Historic Site of Canada in 2006 and the area’s distinctive narrow streets feature a fine range of cafés, bars and vintage stores. Foodie highlights include tacos at El Trompo and the Hungary Thai Bar & Eatery with its unique mash-up Hungarian/Thai menu. 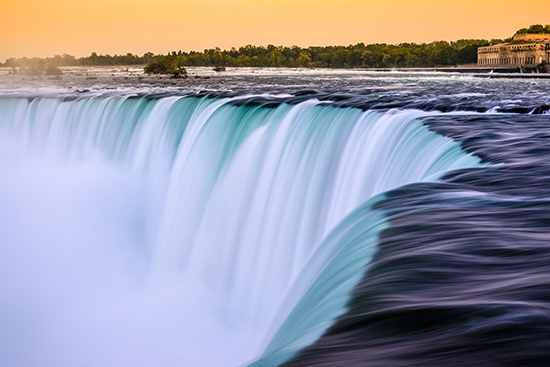 If you can tear yourself away from the city’s many charms, it’s just a 90-minute drive to Niagara Falls. The views from the Canadian side are said to be the best – but then you probably guessed that already. For more travel ideas, check out our Toronto holiday guide. Toronto, Vancouver, Montreal... What is the Best City to Visit in Canada?